Remember me? It’s been awhile, huh? I know, my bad. Want an update? Sure you do! I haven’t been to CrossFit since August 21st. I should feel guilty but I really don’t. I went to San Francisco for a few days! That was nice. Had a wonderful visit with my friends Amber and Greg. My mom went with me as well. It was her first time in California. We left on August 25th and I was back at work on Wednesday, the 29th. Like a said, a quick multipurpose trip. One of which was I was in desperate need of a break! 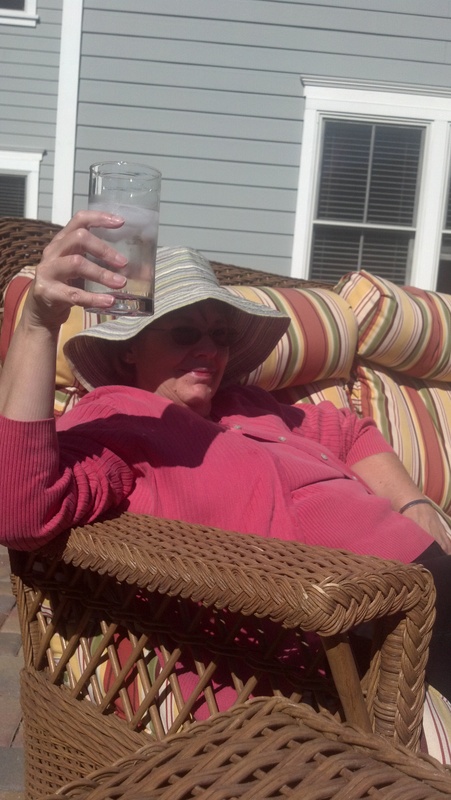 My momma enjoying a nice ice water. 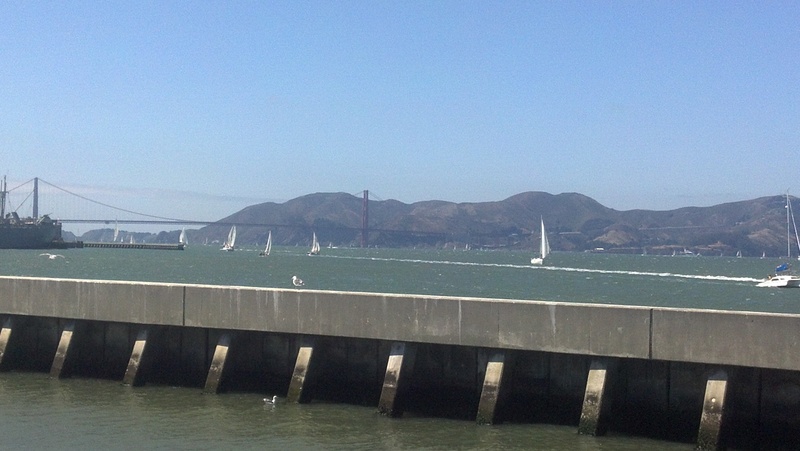 Golden Gate from Fisherman’s Wharf. 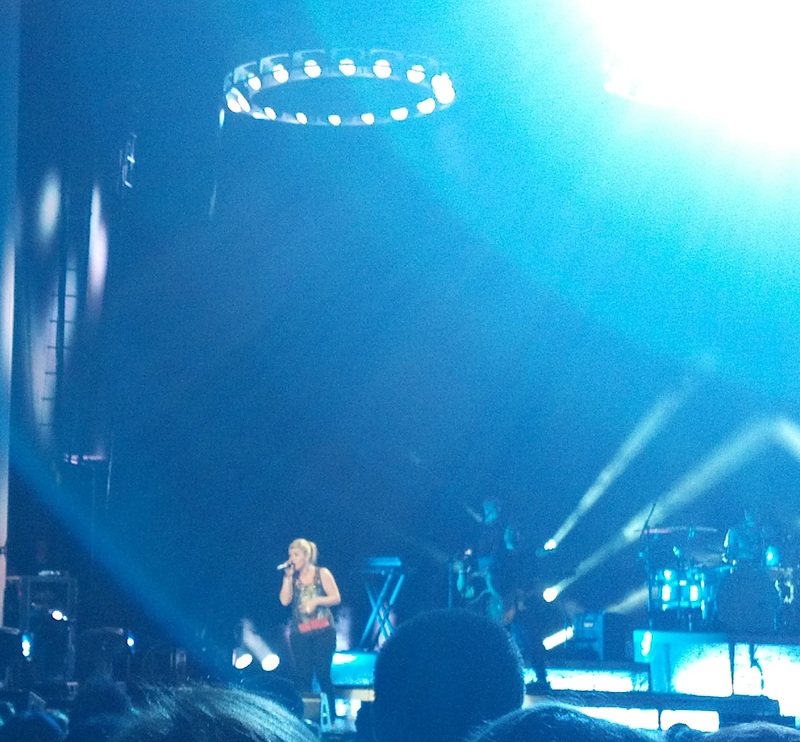 I also got to see the amazing Kelly Clarkson. My lovely friend Lindy and I went. We recently discovered that we were both Kelly fans and now I always have someone to go to see her with! YAY! Horrible picture, but I promise it’s Kelly! So, those two things were awesome! 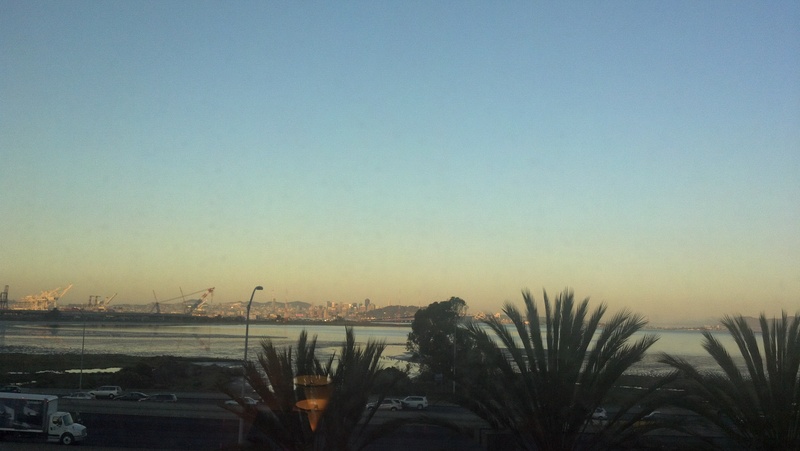 Since my return from The Bay, I’ve worked 118 hours. I’ve worked some part of every day except Labor Day. We held our annual leadership retreat on September 12 and 13. Between the time between my trip and today, I created the 2013 budget, closed August books, rewrote the entire policy and procedure manual, wrote volunteer job descriptions, served in multiple committee meetings and everything else I do on a regular basis. I promised myself that I would be less stressed at this job. I wouldn’t take on so much. I’d have more of a work life balance. I have failed, miserably. And to pay for it, the day after the retreat was over, I got sick. I mean sick as a dog sick. Strep, ear infection, sinus infection…..I’ve been in bed for the last three days. I’m miserable. So rather than a pedicure this weekend, I had a doctor’s visit and meds instead. I need to go shopping for clothes that fit. Unfortunately, that means a bigger size. My friend Nicole finally got her house! It’s been a LONNNGGGGG process, but they are scheduled to close at the end of October. Tomorrow is September 17th. I am supposed to get an update on my major life event tomorrow. Trying very hard to be positive. However, the longer it takes the more I doubt myself. I gave up my head coaching position for Girls on the Run this season. This was a very difficult decision for me but it has turned out to be a very good one for my sanity. I’m supposed to have a magazine ready for publication in two weeks. And I’ve been too busy to chase content. I think we’re all up to date. Has anyone been up to anything fun?